NEVADA CITY, Calif. April 12, 2019 – The City of Nevada City, in conjunction with the Nevada City Fire Department and Department of Public Works, seeks to create a fire ready community, encouraging residents to take actions to minimize home loss by preparing for a wildfire before it occurs. 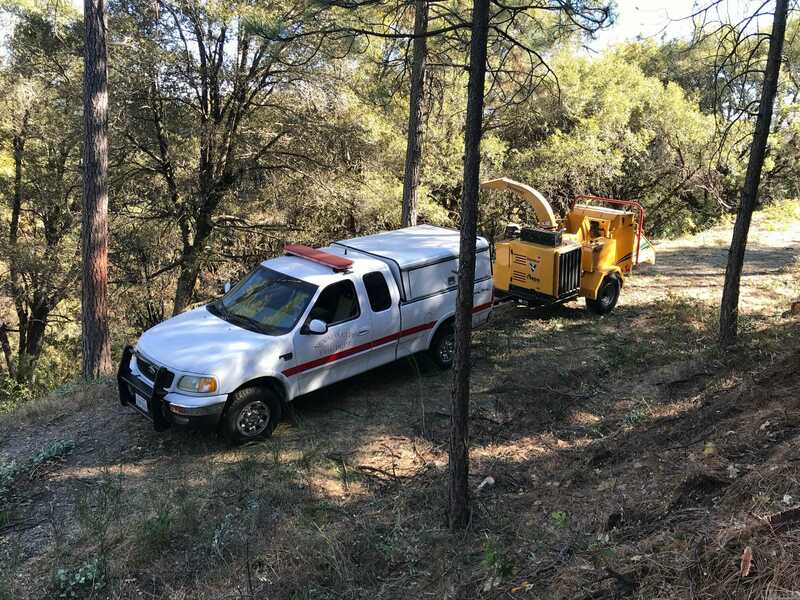 Residents in Nevada City can contribute to fuel reduction efforts by being fire ready and clearing Defensible Space on their individual properties each season. This project contributes to the maintenance of forest health, and helps reduce the impact of wildfires on wildlands, watersheds and local properties. The Nevada City Residential Chipping Pilot Program will provide the residents of Nevada City with a no-cost, “curb side” chipping service as an incentive to assist homeowners in their fire hazard reduction/defensible space efforts and to encourage the reduction of combustible material to small biodegradable chip piles. This program will also allow for firefighters to more efficiently work by reducing ignition points and creating fuel breaks along roads in Nevada City, and to make evacuations safer during a wildfire. This program would be administered by Division Chief Goodspeed using a Nevada City Fire Department pick-up truck and the city owned chipper. The program would operate on the second and fourth Monday of each month. The program will be re-evaluated at the end of July with the Program Administrator reporting back to City Council in August.